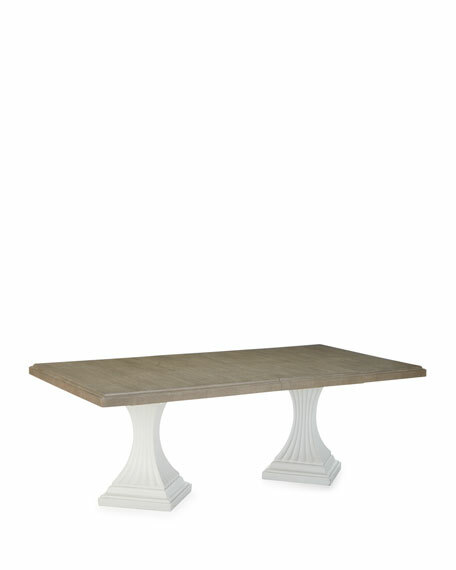 Classy and elegant describe this fantastic rectangular dining option. 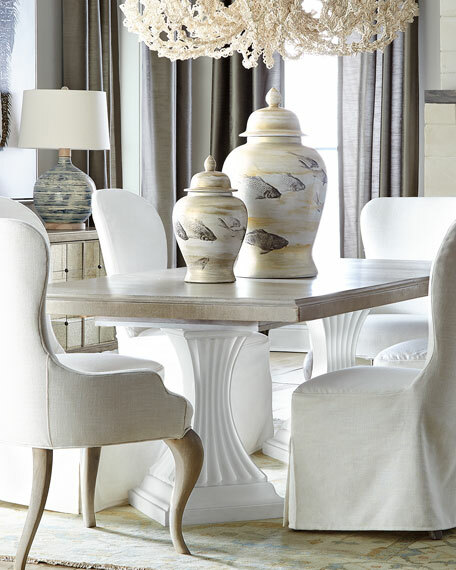 The sculpted bases are in an opaque, textured white plaster finish, gently supporting a soft, taupe grey wood-tone finished top. 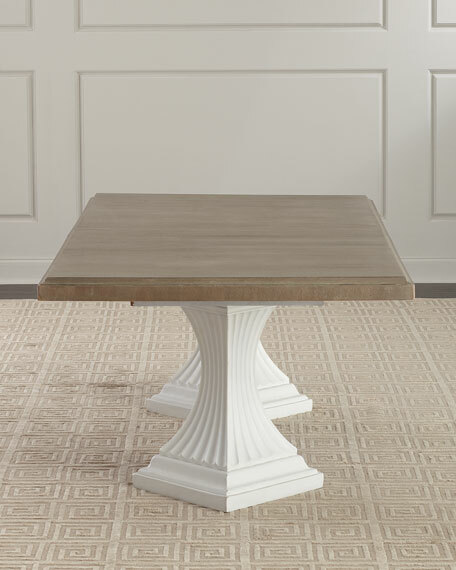 Handcrafted dining table with two pedestal bases. Includes two 22" leaves to extend from 86" to 130" easily seating 10. Poplar rubbberwood and hardwood solids with oak veneers. Light assembly may be required to attach base to top. 86"W x 44"D x 30"T.
Boxed weight, approximately 584 lbs.